Here is some important information about personal injury claims including what you have to prove, some of the different types of personal injury claims, and deadlines and notice requirements. Duty: That the defendant owed you a duty to exercise reasonable care. Duty means an obligation to conform to a particular standard of conduct toward another person which is recognized and enforced in the law. Breach of Duty (Negligence): That the defendant breached its duty of care or, in other words, failed to exercise that degree of care which a reasonable person would exercise under the circumstances. This is known as negligence. The mere happening of an accident is not proof of negligence. Proximate Cause: That the defendant’s negligence was a substantial cause of your injury or harm. In addition, you must show that the harm was reasonably foreseeable to a person in the defendant’s position at the time of the defendant’s negligence. Damages: That you suffered injury or harm. Each type of claim has its own unique requirements and you should seek the advice of an experienced personal injury attorney to determine whether you have a viable claim. Massachusetts law requires insurance companies to disclose the amount of insurance available to cover your loss (M.G.L. c. 175, S. 112C). Personal injury law allows three years from the date of the accident to file a lawsuit. If you fail to do so, you will be forever barred from obtaining compensation for your personal injury claim. However, the statute of limitations for uninsured and underinsured car accident claims is six years from the date of the accident. Slip and Fall on snow and ice claims require notice within 30 days of the incident (M.G.L. c. 84, s. 18 and 21). Uninsured car accident claims require prompt notice. However, if you are injured in a hit and run accident, you must notify your insurance company within 24 hours. If such a notice is not made, your claim may be denied. Sometimes insurance companies will deny your claim because they say that their insured was not responsible for the accident. Also, insurers work hard to pay you less for your claim. Therefore, it is important to have an experienced personal injury attorney on your side to fully investigate and research the issue of responsibility, to evaluate your claim and make sure that you receive the compensation you are entitled to. 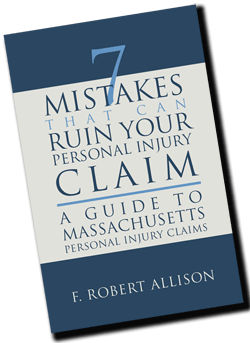 If you were injured in an accident, contact Attorney Bob Allison now for a free consultation by calling 978-740-9433, filling out our free consultation form. 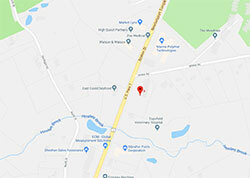 We look forward to talking to you about your Massachusetts personal injury claim. You can also learn more about personal injury claims by obtaining a copy of our free book.